We live in a world where, most of the time, people are either too busy to cook or too lazy to get dressed to go out and eat. This is why “Food Delivery Services” worldwide have generated an insane revenue of 121,848 million USD in 2018. Growing at a CAGR of 17.7%, the revenue is expected to hit 234,206 million USD by 2022. Hundreds of startups are launched every year in this industry and businesses are always busy finding ways to beat their competitors. Improving the service efficiency and promoting your brand online is not enough to stand out from the plethora of competitors trying to displace you. That is why investing in offline marketing is a good complement to online strategies. Beacon-based proximity marketing is one of the most effective offline marketing methods. Beacons are Bluetooth transmitters that send messages to the smart devices in its range. These messages can include text, media, links, etc. Businesses use beacons to send advertisements to the people in proximity to them. This is called proximity marketing. Beacon technology has proven to be cheaper and more effective than traditional advertising methods like billboards, posters, radios, etc. In fact, beacons deliver click-through rates (CTR) 16 times more than Google Pay-per-click. Change the content that you use in the Beaconstac Markdown Card based on context. For example, if your beacons are located near a gym, you can promote your business with pictures of healthy food or if it is a sunny day, you can promote your service with the pictures of icecream. Deploy beacons in tech parks and send frequent promotions during the night. This is because employees working in night shifts prefer ordering food online as not many restaurants stay open 24*7. 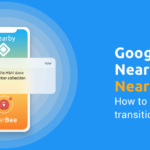 Leverage beacons at the entrances of residential areas like apartments and gated communities and promote your products a little before the meal time. This way you can easily grab the attention of the people who are too tired to cook. You can easily use your delivery men to promote your business on the go. All they have to do is carry the tiny beacons with them. Beaconstac offers pocket beacons and keychain beacons exclusively for this use-case. This is an excellent way to reach out to all the people in and near the building to which your employees go to deliver an order. Besides promotions, you can also use beacons to push feedback forms to your customers. You can also attach pocket beacons to your delivery vehicles. This way you can get some attention in parking lots and traffic signals. A loyal customer is worth ten times more than their first purchase value. Acquiring new customers is as important as retaining old customers. There are hundreds of food delivery businesses out there. It is important to keep finding ways to not lose your customers to one of them. With, you can get insights of your customer’s taste and choices based on their browsing style and order history. You can use beacons to send them customized menu based on their previous choices. 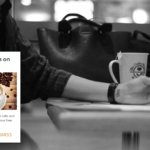 You can use beacons to announce your loyalty programs and rewards for regular customers. For example, a customer who orders food seven days in a row would get a free delivery for the next seven days. This way you can keep them engaged with you. Word of mouth is one of the most effective marketing techniques. This is because of the obvious fact that people trust their friends more than ads. Providing good services will naturally make people recommend your brand. You can further encourage these recommendations by providing referral benefits. Businesses leverage cookies to retarget customers based on their online behaviour. Similarly with Beaconstac, it is now possible to retarget customers based on their offline behaviour as well. Retargeting gives the best results for food businesses that offer both dine in and door delivery. You can leverage beacons in your partner restaurants to retarget your diners and make them take your door delivery services. Also, by getting your users place orders through beacons, you can understand their tastes, choices, and preferences. You can use this data to retarget them with relevant tailor-made ads on Facebook. This is done by linking your Facebook Pixel ID to the Beaconstac platform. If you are planning to try out beacons to promote your food delivery or other ancillary businesses, take a look at Beaconstac, that includes everything you need to get started. Using Beaconstac you can set up your own campaign, without a developer’s help!